Long-term travel can be a pretty expensive undertaking that isn’t accessible and affordable to the average person. …you’ve got rent, insurance, stacks of bills, eating out because you don’t have time to cook, and so much more. In today’s post I’m going to show you *exactly* how much it cost Andrea and I to travel over the course of a full month, right down to the penny. How Much Does it Really Cost to Travel? 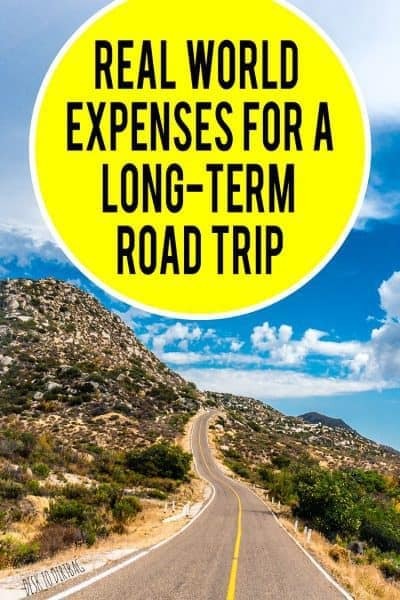 In an effort to provide better transparency to my readers and those who may be considering long-term travel, or more specifically a major road trip of the American West, I decided to document all of our expenses for the month of June. In June we continued our long term overlanding road trip of the American Southwest, at the beginning of the month we were in Bryce Canyon National Park, where we cruised Utah, passed a few nights in Las Vegas. After that we continued into California along the Sierras, Yosemite, Sequoia, Kings Canyon, and down into Los Angeles to explore Hollywood, venturing over to the incredible Joshua Tree National Park and the Salton Sea, before heading into Baja California in Mexico. We covered 2,873.4 miles during the month, which for my typical style of travel is quite a rapid pace. We were working within the deadline of Andrea’s visa to the United States and there was a lot I wanted to show her. Our manner of travel is mostly cheap, but we did spend a few nights in hotels, started eating out more (even if it was just cheap junk food), and tried to enjoy ourselves in both Las Vegas and Los Angeles (our two big city trips of the month), by going out at night or even taking a tour of the celebrity homes in Los Angeles (we saw Jay Leno drive by!). So I think this expense report provides pretty good insight for a couple looking to pack in a lot while also embracing some big city visits, lots of camping (even casino camping), and the occasional splurges. I should also note that these costs include some one time expenditures related to Mexico in order to cross the border, so you could subtract $200 straight off the bat for those expenses. Check out my comprehensive guide to road trip planning, as well! Between the two of us we spent $2,259.17, or $1,129.58 per person, for an average daily expenditure of $37.56 per day per person. Of that total amount we spent $614.94 for gasoline alone to cover those 2,873 miles or about 27% of our total expenditure in gas. My 1991 Toyota 4×4 Pickup gets 17 MPG and the average price of gas was $3.66 per gallon at this time. These numbers line up well with the numbers I’ve proposed one should budget (in my experience) in order to embark on a long-term trip of roughly $1,200 per month. 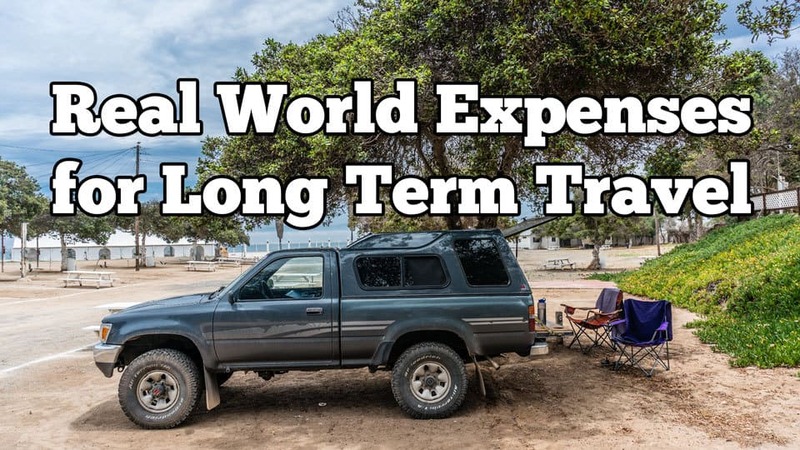 We could have certainly traveled cheaper by traveling at a slower pace, we were on the go pretty frequently and not spending more than a few days in any given place, which meant that I was filling up an average of every other day and covered an average of 95 miles per day. You can read more about my traveling expenses and budgeting for my previous year long climbing road trip when I was traveling solo and paying for everything myself, but also traveling at a slower pace. Interestingly, it also lines up well with my cost of living while overseas in Medellin, Colombia. The cost of living was much cheaper while also boasting a much higher standard of living. I’m going to try and keep better track of my expenses in the future in order to help you judge your own budgeting needs. I use the Android App Splitwise to track my expenses, and FuelBuddy to track the gas fill ups. Do you have recommendations for better ways to track your day-to-day expenses? Let me know! If you found this post helpful or insightful in any way, please don’t forget to LIKE IT and SHARE IT on your social networks. Would you like to get out there and travel more? Check out my best-selling book Big Travel, Small Budget available in paperback and for Amazon Kindle. This is a very helpful post for any traveler, plus those analytical types — like my husband Conrad — and a very necessary thing to do while traveling. If you don’t know where the money goes, you can’t tweak it in order to plan for the best travel scenario. House sitting, staying in an Airbnb or apartment are necessary for me not only to save money but also to learn about local foods by cooking with new ingredients. I hope you enjoy your upcoming Baja house sit! Hey Josie, thanks so much for chiming in with your perspective about long-term travel. I couldn’t agree more about the value of Airbnb and housesitting to the long term nomad. Indeed, I used to run an Airbnb rental while living overseas which is yet another way one can drastically reduce their expenses while living in a new place. This is great! My husband and I are taking our second big roadtrip from Oregon to Florida in November. Our first trip in March from Florida to Oregon we spent $2,899.06…so pretty close to you! I am curious to see if we are able to cut some costs on the next round! That’s awesome to hear about the big road trip coming up. You guys probably covered much more distance than we did and had higher gasoline prices, I imagine? The free camping 90% of the time is another way to save a few hundred dollars, if you weren’t doing that before. But otherwise seems like your costs were also inline with ours. Good to know! Spot on. The costs here are in-line with what my wife & I spent on a similar road trip. Just like Ryan: in a truck, low budget, occasional luxury. But with less fast-food, that crud will kill you. Thanks for chiming in and confirming the average costs, Tim. Glad to hear that it’s in line with what others have experienced. And yeah, agreed on the fast food! Not good, I don’t normally eat it, oddly enough, but it’s those long days where we are pushing the mileage that we succumb due to not wanting to cook. That’s one of the reasons I recommend slower travel as well, in my budgeting for a climbing road trip post.